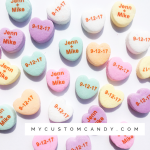 PostcardMania is a postcard and direct mail marketing company that offers graphic design, printing, mailing list acquisition, and mailing services. The company also offers web design, email marketing, and other web marketing services to its clients. In this review, we cover its available pricing options. As of the date this article was written (6/27/18), there are no user reviews of PostcardMania online. If you are a past or current PostcardMania customer, leave a review to help other small business owners that are deciding whether or not to use the company. PostcardMania offers various design and marketing services. According to a company representative, they offer a flat rate of $199 for a full conceptual design for print (including the marketing message and design). For their web design package, they offer a standard rate of $995 (discounted to $495 for their existing customers). Interested parties can contact support to get custom pricing according to their business needs. Check out the list below of some of PostcardMania’s features. Best Logo Design Software: Tailor Brands vs Logo Garden vs Withoomph – We looked at the most popular logo design software and found that Tailor Brands, Logo Garden, and Withoomph covered the range for small businesses in terms of ease of use and the quality of logos offered. Check out this guide for our comparison and review of these three options, as well as our top recommendations. How to Create Business Flyers – Printing, Costs, Design, & More – In this article, we’ll teach you how to create and distribute compelling business flyers and the costs associated with them. Top 28 Logo Design Ideas: Inspiration & Tips From The Pros – The intent of a company’s logo is to be distinguishable, but it can be difficult to create a logo that stands out from the crowd. Here are top 28 ideas from the pros for logo design inspiration. Top 29 Website Design Ideas & Resources – We put together this list of the top 29 website design ideas and resources for all those looking to get the most out of their website design in 2018. How long will it take to design my postcard? The company’s creative team can produce a partial design in 3-5 days and a full design in 5 days. How long does it take to design a new website? It will depend on the package (and how quickly you respond with edits), but generally, it takes about 4 weeks. 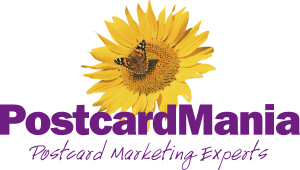 This video provides an overview on how PostcardMania can help your business get more leads and grow your revenue. Not sure if PostcardMania is the right fit for you? Read our reviews of all top design software. Design department does an amazing job for a great price. Printing is fast, cheap and high quality. I didn’t realize they did mailings when I first used them! It is super convenient to have them drop the cards for me to when I have a mailing list I need to send to.